The plant just wants to be loved. Senate majority leader Mitch McConnell last week announced a plan to legalize hemp as an agricultural commodity. This brings up several questions. First: Is hemp really still illegal? Second: Mitch McConnell? The Republican from Kentucky? Third: How did the hemp store near my college campus manage to sell all those scratchy hemp sweaters if hemp has been illegal this whole time? The ban on hemp is not one of the most pressing agricultural topics today compared to the mergers of corporate agribusiness, millions of acres of land destroyed by dicamba, and climate change making New York City palm trees a possibility. But it is one of the absolute silliest, dumbest bans on any product in the United States, and it’s looking very likely that, with unexpected bipartisan support, hemp will be legalized quite soon. 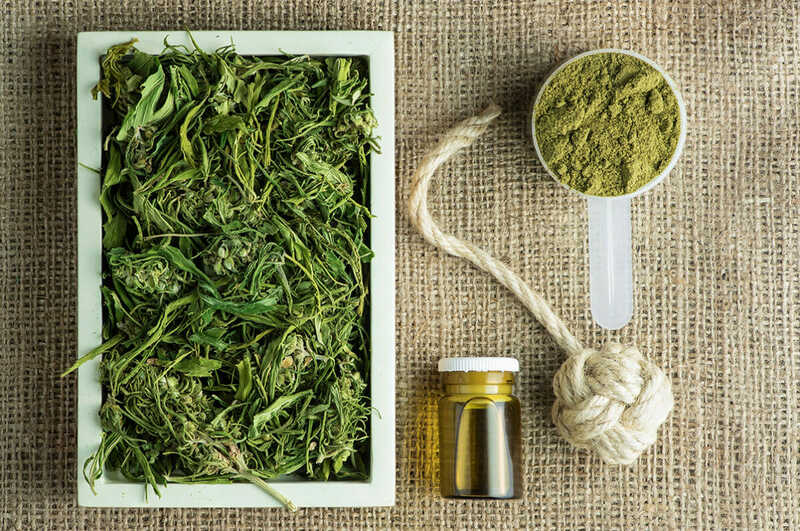 Industrial hemp is grown for variety of reasons: its stalk is covered in layers of bark that can be used to make textiles, plastics, biofuel, insulation, and other materials. The seeds are nicely nutritious, not incredibly different from sesame seeds or quinoa, and can be pressed into an oil. The United States has a long history of hemp cultivation, dating back to before we were actually a country. Thomas Jefferson is widely believed to have grown the crop. The entire species, including marijuana, was first federally regulated in 1937 with a tax, though it was lifted during World War II as the government urged farmers to grow “Hemp for Victory,” owing to the fact that military blockades made it hard to get other fibers. In 1970, the Controlled Substances Act again placed the entire species of Cannabis sativa in the DEA’s Schedule 1 category. But even in 1970, legislators realized that Cannabis sativa wasn’t just for getting a buzz, so the Controlled Substances Act included language exempting certain parts of the plant: the stalk, and the seeds, so long as they weren’t capable of sprouting into a plant, were excused even though the plant itself remained banned. In short: It was legal to possess a hemp stalk and process it in any way you wanted, but you couldn’t grow it. This forced anyone wishing to use industrial hemp to import the raw materials (not a cheap option), a factor that stunted the hemp industry. Hemp declined in popularity over the next couple decades until it was rediscovered as a pretty useful crop in the 1990s. But since it remained illegal, locals manufacturers wishing to use hemp had to import it from Canada and Western Europe, where it was widely grown. “By the late ’90s, we were all frustrated with having to import hemp from other countries,” says Eric Steenstra, president of Vote Hemp, a nonprofit dedicated to educating and pushing for legalization of industrial hemp. Fast forward to 2011. A guy named Jamer Comer runs for the position of Kentucky’s Agriculture Commissioner and his top priority was the legalization of industrial hemp. Comer actually filed a lawsuit against the DEA for trying to confiscate hemp seeds. It seems kind of far-out for a state that doesn’t fit the hippie-revival tone that can be associated with hemp, but running on the hemp platform worked. Comer won. By a lot. Hemp is a very easy crop to grow, in some ways. It is not particular about climate, it requires zero pesticides, it doesn’t require much water compared to a plant like cotton, and it can grow in all kinds of soil. Kentucky has a nice chunk of fertile soil, but it also has an awful lot of rocky, hilly land where hemp will actually grow just fine. Mitch McConnell, the long-time senator from Kentucky, noticed Comer’s win, and, to his credit, actually took a look at industrial hemp. “He sees that it’s creating jobs in Kentucky, and economic development, and that it’s a good thing for the state,” says Steenstra. By the time Comer took office, work was underway on what would become the 2014 Farm Bill. McConnell noticed the popularity of the hemp legalization push in his home state, and became an actual force for opening regulation to industrial hemp. The 2014 Farm Bill included, owing largely to McConnell, some new allowances for industrial hemp: it could be grown by universities, state agriculture departments, and states could even initiate pilot programs. It was a foot in the door, and there are now small hemp operations in more than dozen states. As difficult as it can be for any small farmer to get loans for their business, a farmer wishing to grow hemp runs into a brick wall of challenges. Banks don’t want to issue loans to growers of the crop due to its in-between legal status. “The DEA’s stance that this is a controlled substance has led to all sorts of problems, like lack of access to banking, water rights, and property insurance,” says Steenstra. McConnell’s new bill, which will have bipartisan support from Democrats, would completely exclude hemp from any controlled substance regulation. It would, correctly, insist that hemp is not marijuana. A particularly weird thing about the hemp debate is how incredibly un-controversial it is. The DEA opposes it; they won’t confirm this, but it seems likely that their opposition is based mostly on losing funding. Interestingly (especially for anyone who thinks hemp farmers might try to hide marijuana in their fields), it’s marijuana growers who are most against it. Why? Being that marijuana and industrial hemp are the same species, they can cross-breed. But marijuana growers need extremely specific plants (female only, certain breeds), so pollen blowing in from an industrial hemp operation is a threat that could destroy a marijuana grower’s crop. But on the whole, there’s very little opposition to legalization of hemp. Industrial hemp may not be a world-beater of a crop – as we’ve noted in the past, it removes a lot of nitrogen from the soil, it can be sort of expensive to harvest, and there are more-established and cheaper crops for most of the things you could use hemp for. But still, there is no good reason to ban it. The major player standing in the way of this bill is Chuck Grassley, senator from Iowa and chairman of the Senate Judiciary Committee. Grassley has given a sort of muddled, not totally factually accurate statement outlining his opposition to industrial hemp; his views include that it is not a viable crop (possibly! But neither is poison ivy, and poison ivy isn’t banned), and that it would be some sort of door-opener to marijuana. “It seems that the main reason hemp is being put forward as a legitimate crop is to promote the legalization of marijuana. That is something I cannot support,” he wrote. He spends the majority of this statement talking about psychoactive marijuana and the dangers of illegal drugs. Grassley is powerful, but very, very few other elected representatives have anything worse than a “who cares?” attitude towards industrial hemp.